Drizzle this on fresh market baby greens like spinach or arugula. Add some unctuous cheese like Stilton or a wedge of triple crème brie. Embellish with ripe local fruit like figs or nectarines. Finish with toasted nuts. Savor! Heat a small sauté pan over medium heat, add coconut oil and shallots. Sauté just until softened. Pull pan off heat and let cool. 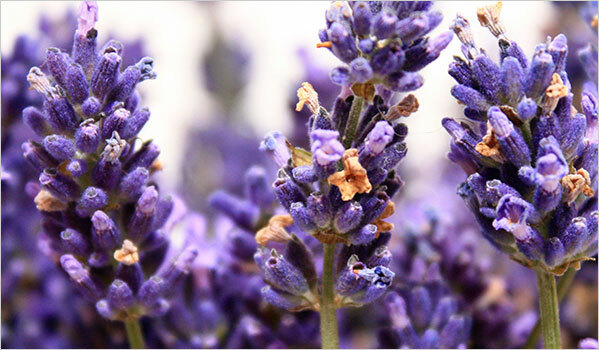 Place lavender, vinegars and honey in food processor, blender or bowl and whisk together until well combined. Slowly pour in oil. Add shallots and any coconut oil from pan, season to taste with S & P. Add mustard if desired. Best made at least 1-2 days ahead. Transfer to a jar and keep up to 3 weeks in refrigerator. Shake well before using. Add some sliced roasted chicken to make a lunch entrée or light dinner.